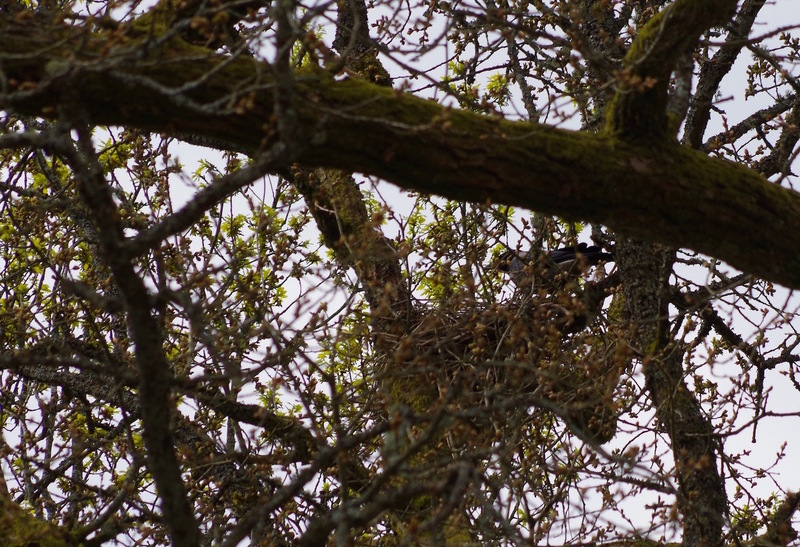 A pair of hooded crows are nesting in one of the old oaks. In just a couple of days, the nest will be completely invisible from below. Uddevalla, on May 11, 2015.